Submitted by Christina Fox on Mon, 16 Nov 2015 - 18:20. The people of Ealing are a curious bunch. 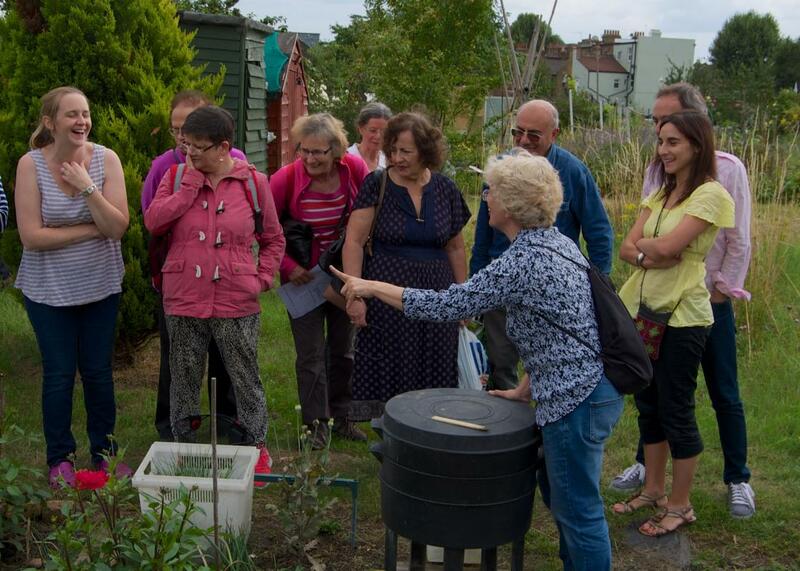 At our first ever open day so many people said to me that they had often walked past the allotments and wondered what they were like inside. The assumption was that there would be row upon row of vegetables tended by a wizened old retired guy drinking tea from his flask. 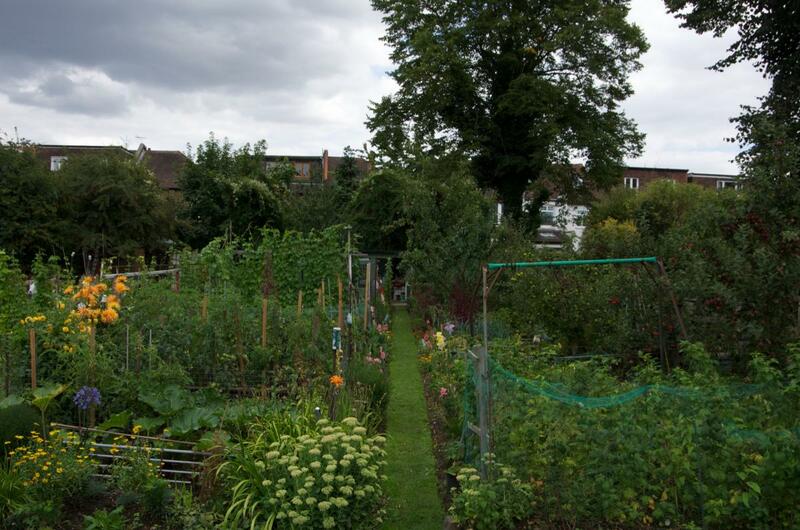 Of course, we do have a few of those, but we also have lots of young families and people who grow flowers. 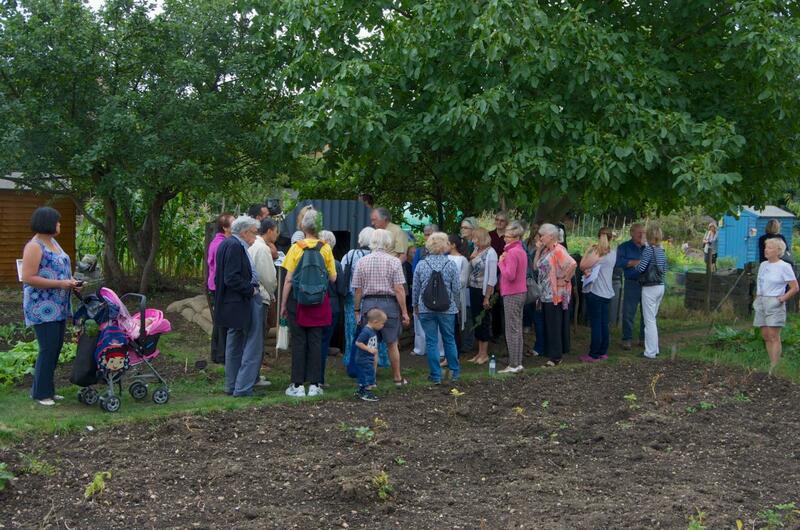 Saturday 15th August 2015 was the first ever open day we had organised. As far as I know it was the first time the gates had ever been opened to the public. We debated at the committee meeting about whether or not to charge an entrance fee. A day out for most families is now very expensive. A family ticket for Kew Gardens is £34. We decided our entrance should be free to all. In the end it wasn't about raising money – it was about making new friends. We had a wonderful day. Everything went so well partly due to the most perfect weather, blue skies and a gentle breeze. It was hard to gauge how many people would visit. At one hour to go I still wasn't sure if two people would turn up or 200. 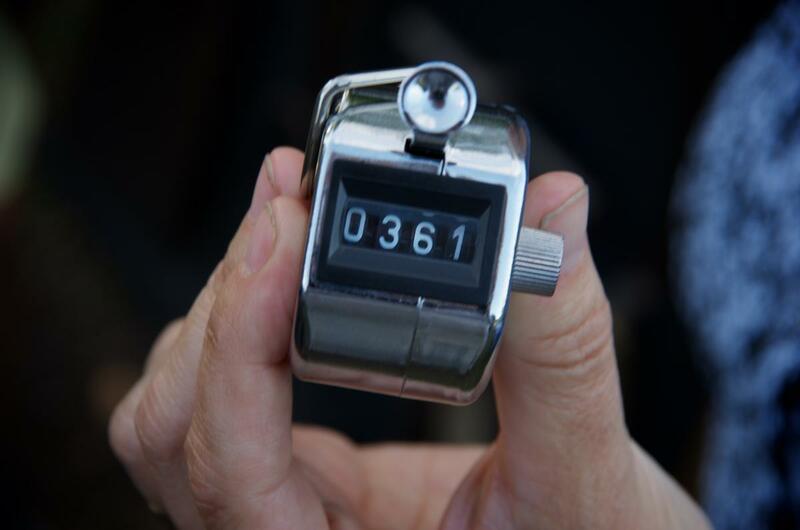 But, I shouldn't have worried - in the end we had 361 visitors. We must have impressed some of them as 21 then decided they wanted to join the waiting list. You can’t have an open day without tea and cake. The tables looked lovely with their floral tablecloths and vases of flowers. 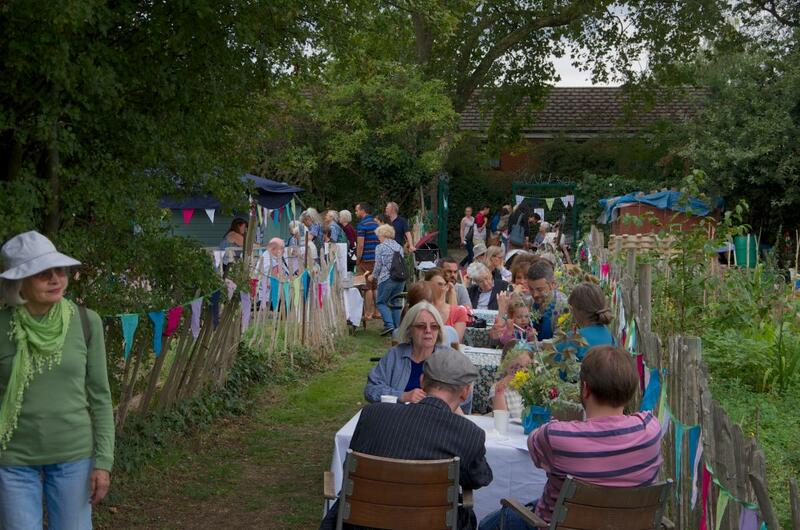 The whole area looked like a country fair from the 1930s with bunting gently flapping in the breeze. 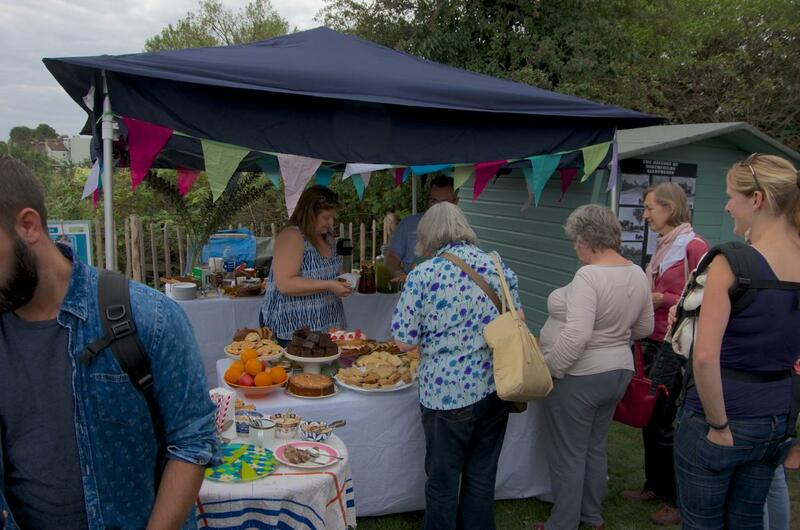 Huge praise goes to Dominic for organising the tables and cake stall – which helped to set the whole tone for the day. 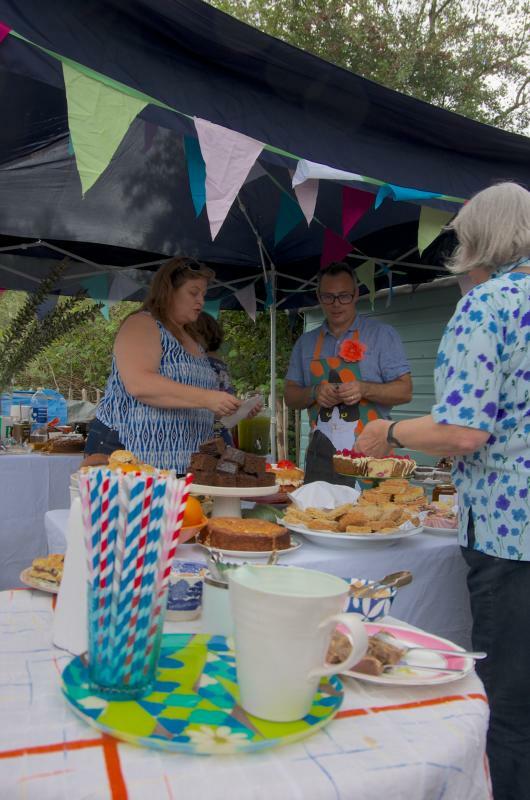 From the takings – it seems almost everyone bought tea and cake. We also had a large dispenser of Pims’ cocktail for which we accepted a donation. 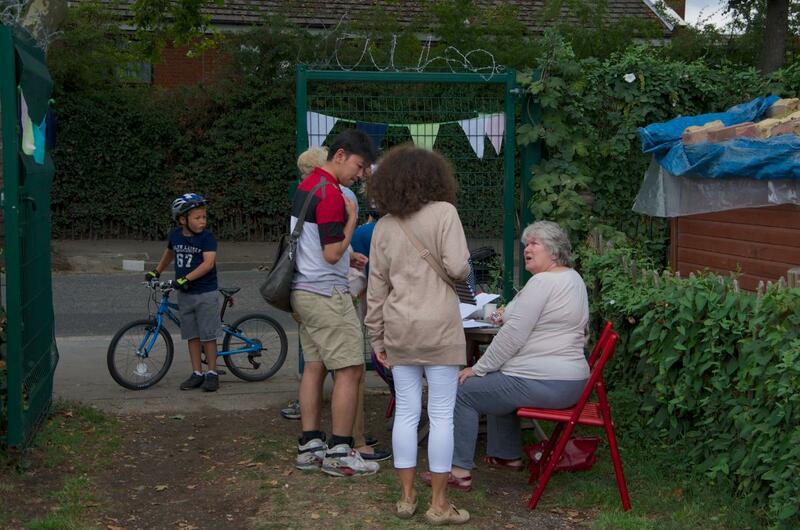 My favourite story of the day was the visitor who wanted a Pims but didn’t want to donate. So, the ever-resourceful plotholder Fran told him he could have a free Pims if he agreed to clear the tables of dirty cups! Which he did. The restored Anderson shelter proved a big hit. We had managed to get a story about the Anderson shelter and open day in the Gazette and many people said they had come because they had seen it in the paper. Crispin, who is one of our committee members and an actor, got us some props – tin hats and gas masks. 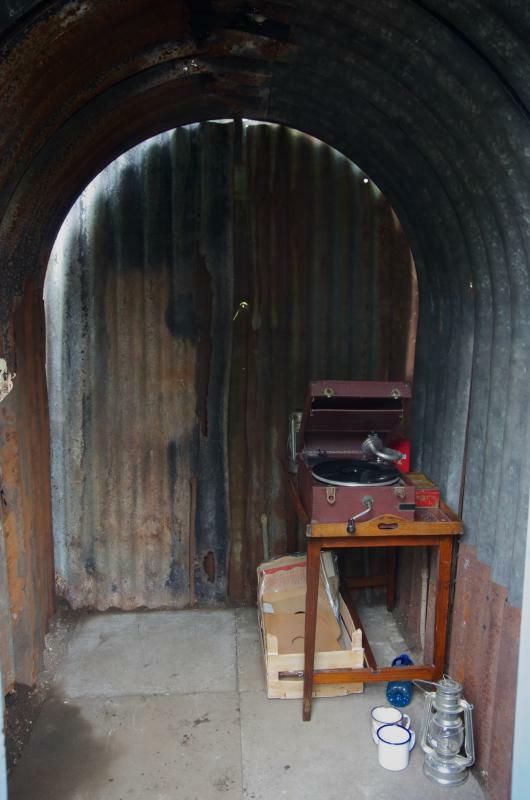 I brought along an old wind-up gramophone player and some Gracie Fields 78rpm records to play. It all helped to set the atmosphere. It was fun teaching the kids how to use the gramophone. It was interesting to see some grandparents explaining to their grandchildren what the Anderson shelter was and recounting their memories of sitting in one as a child. 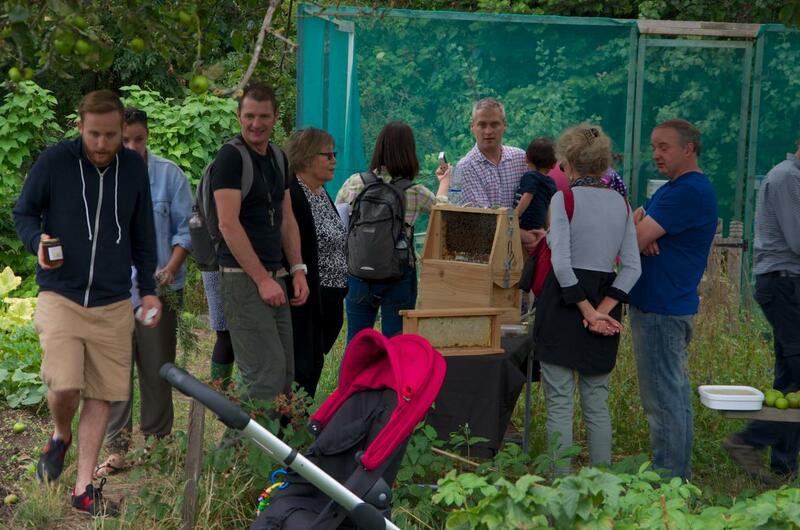 The bees also proved popular and Tom our beekeeper sold out of honey. 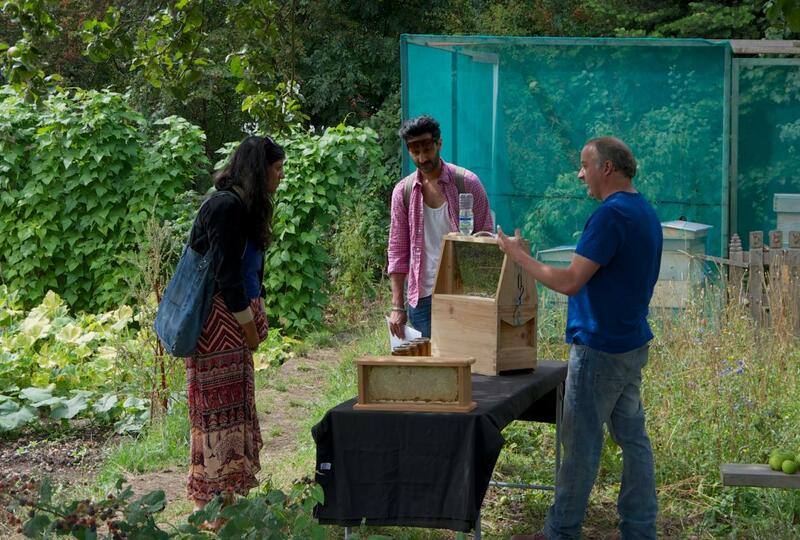 He brought a demonstration hive (on the table). But, you can also see the real hives - just behind him behind the blue netting. One plotholder decided to prune her wayward rosemary, on the open day, and gave away the prunings. It must have been a substantial plant because I saw lots of happy people carrying around their sprigs of rosemary as if they had won a prize. The trouble with being on a committee is you spend a lot of time sorting out problems, sending out non-cultivation and termination letters – it can sometime feel like you are the killjoy ruining everyone’s fun. So, we wanted to do something positive. 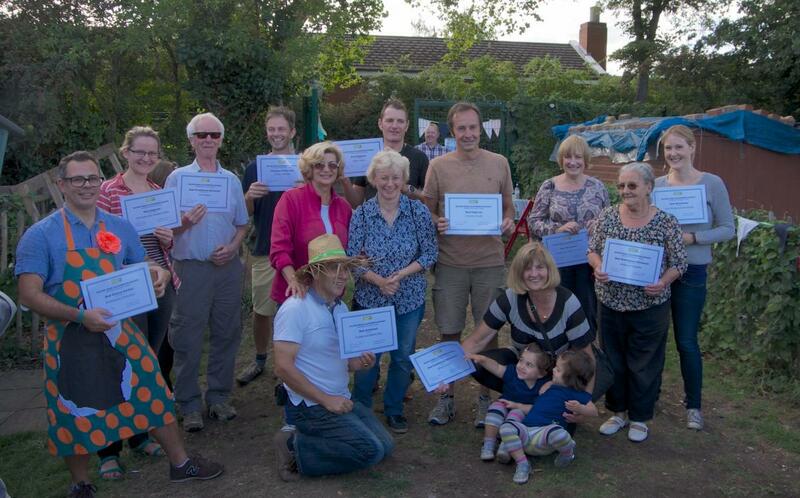 The open day gave us the excuse to have an award ceremony. 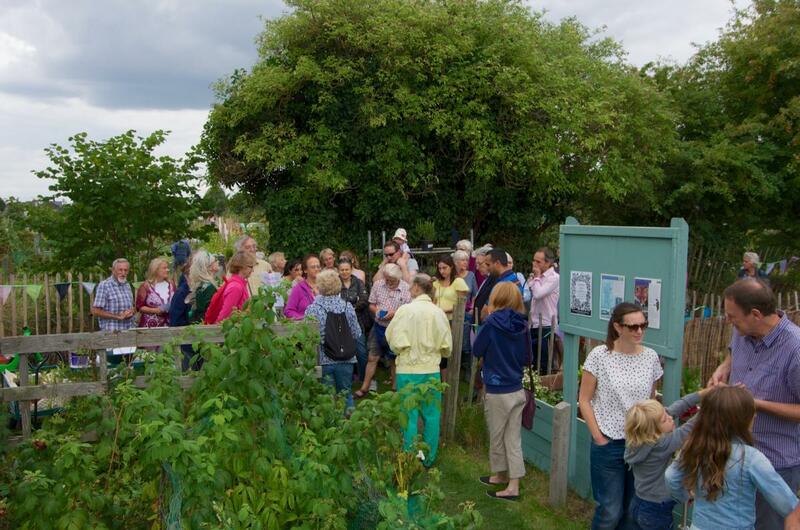 It was great to celebrate those people who love their plot and recognise all the hard work they put into it over the year. 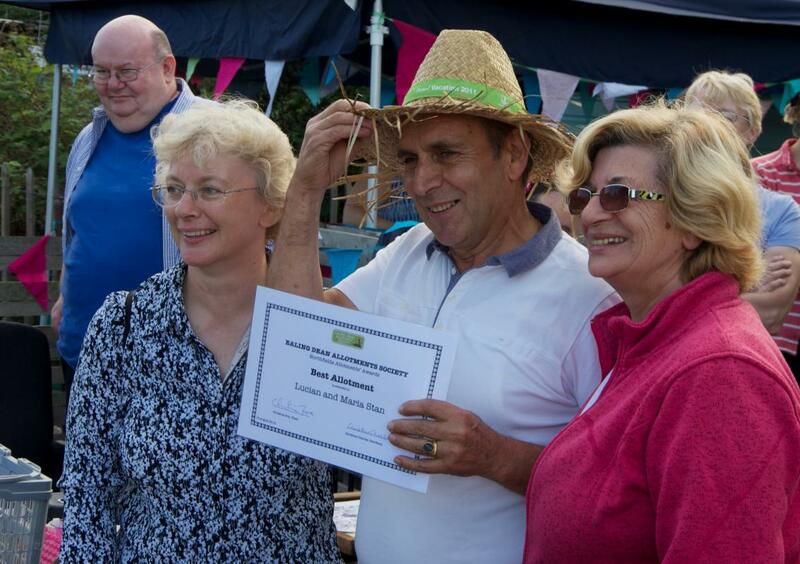 The award for best overall plot went to Lucian and Maria (plot 195 below). Not only is their plot a delight, they are lovely people always ready to help if a fellow plotholder is ill and needs a helping hand. 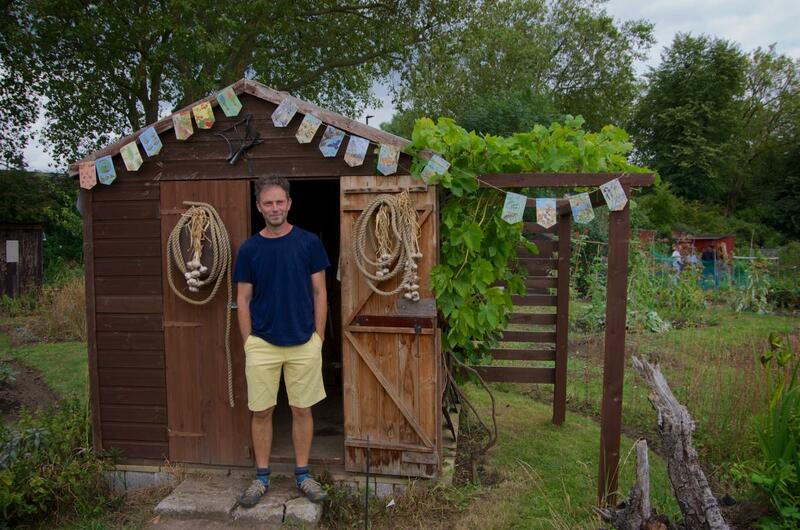 We also asked our open day visitors to vote for their favourite plot and the winner was – Lucian and Maria again. It really is a fantastic plot and it seems everyone agrees. 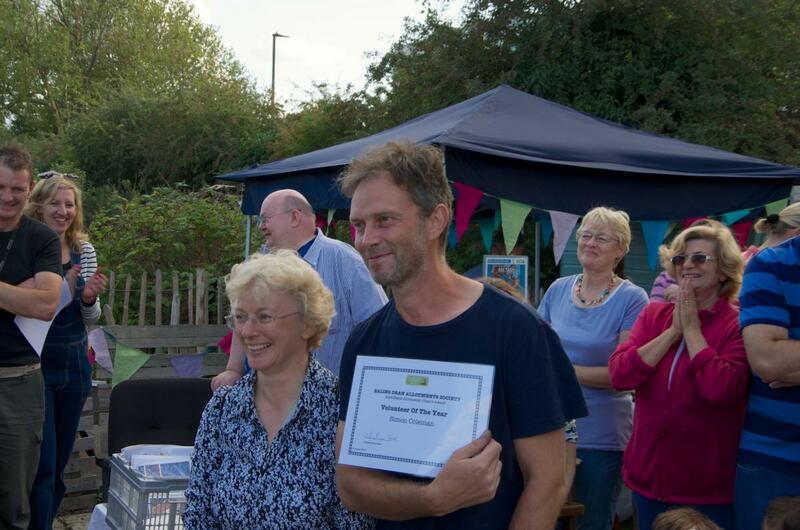 Here is the full list of all our award winning plot holders. 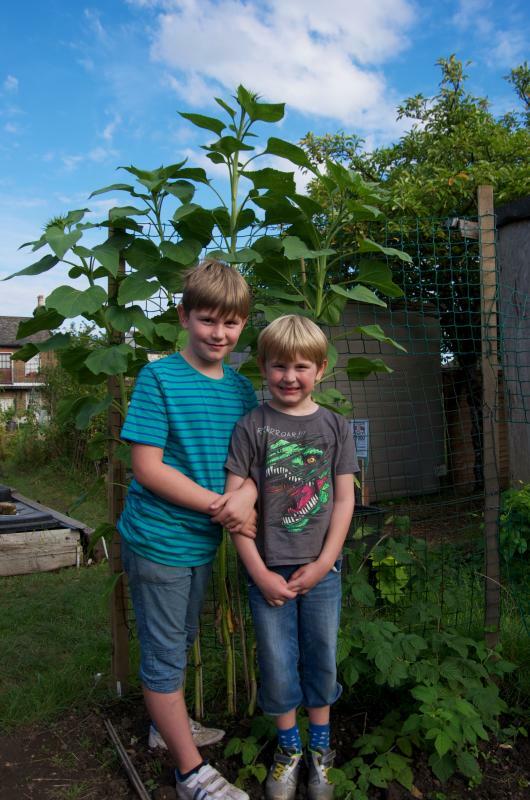 We also had a tallest sunflower competition to get the kids interested in growing and nurturing a plant from seed to monster flower. 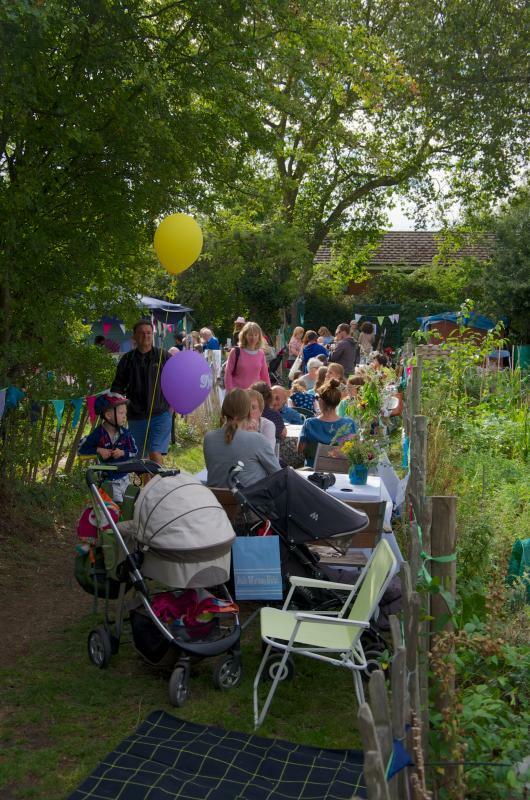 Some sunflowers didn't make it past the seedling stage – but many did and it was great to get the children involved. Handing out the awards was definitely the highlight of the day for me. 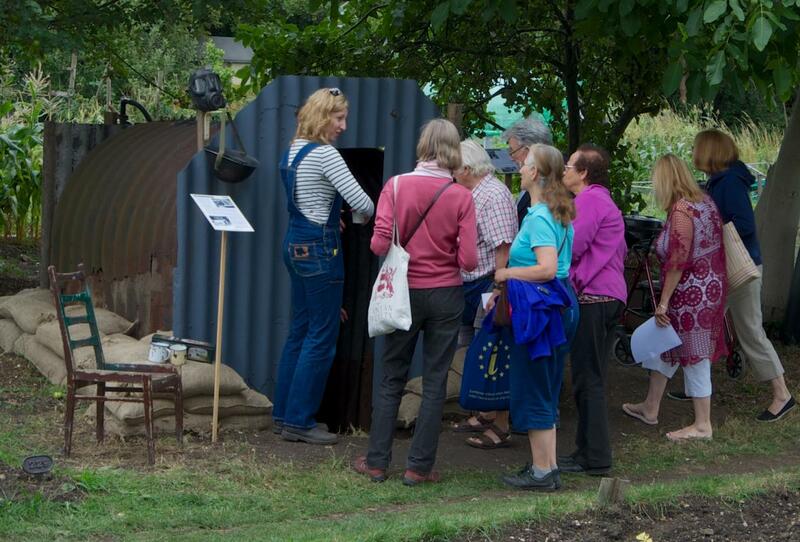 The feedback from visitors and plotholders has been overwhelmingly positive. We definitely needed more tables and chairs. 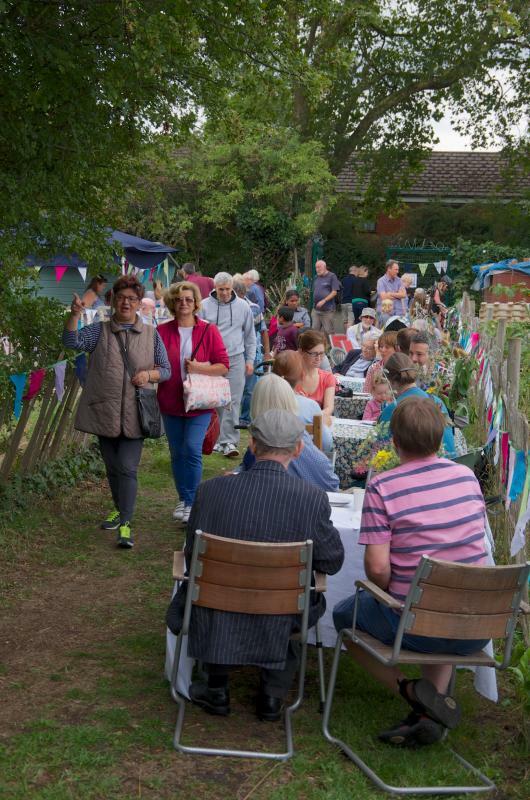 Many people just enjoyed sitting and soaking in the atmosphere (and eating cake). One group stayed until 6pm chatting away. They were obviously enjoying the location and conversation. We didn't have the heart to throw them out even the though the doors were meant to close at 5pm. 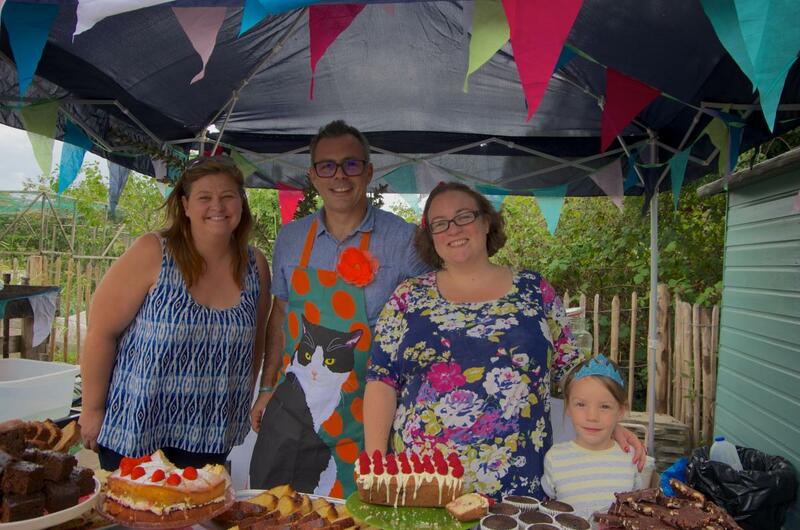 We also need to bake more cakes…especially chocolate cake – which was the most requested. I’m also going to need an industrial sized water heater for the tea and coffee. 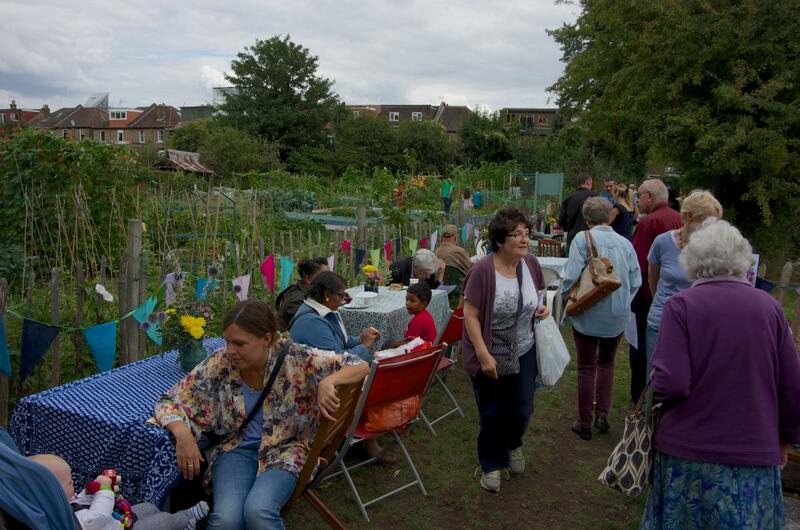 Something like this takes a lot of organising and the goodwill of so many volunteers. We can't thank them all enough - you made it a perfect day. If you haven’t had an open day yet – I would urge you to take the plunge. I can’t wait to do it all again. 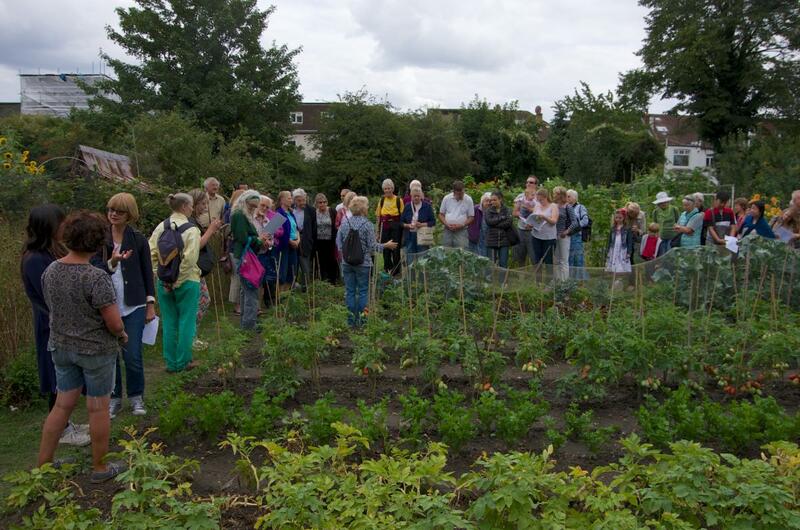 Chair of the Ealing Dean Allotment Society.